I'm loving these photos at an oblique angle from the International Space Station. Most Earth photos from space look so flat, but these have such a three-dimensional quality. 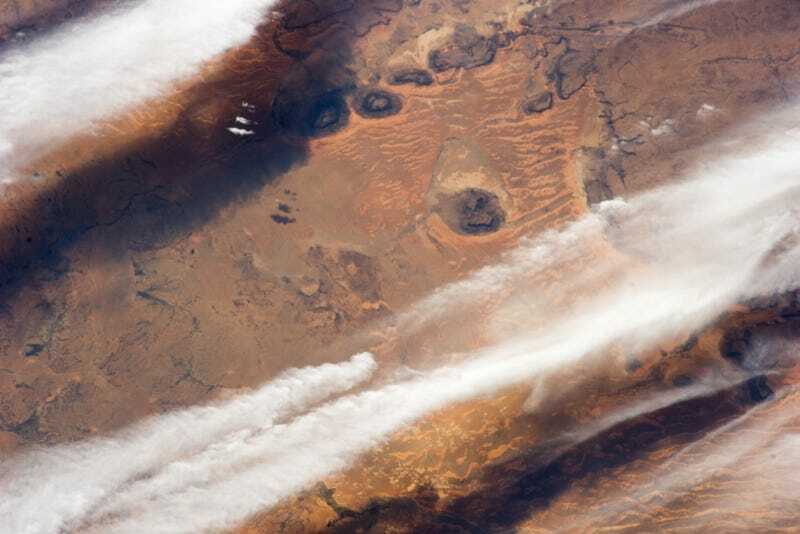 This one in particular, showing clouds over the Western Sahara Desert also feels painted with delicate brushstrokes, thanks to the lighting and the surface's palette and textures.